Ugreen cat 6 UTP Flat Network Cable 0.5M standard for Gigabit Ethernet and other network protocols.The cable has Bare Copper Cable Conductor Material, PVC Cable Jacket Material, 32 AWG OD1.4*6.0mm Cable Gauge, Up to 500 MHz Cable Performance and UTP (Unshielded Twisted Pairs) Cable Shielding.It is suitable for 10BASE-T, 100BASE-TX (Fast Ethernet), 1000BASE-T / 1000BASE-TX (Gigabit Ethernet) and 10GBASE-T (10-Gigabit Ethernet). 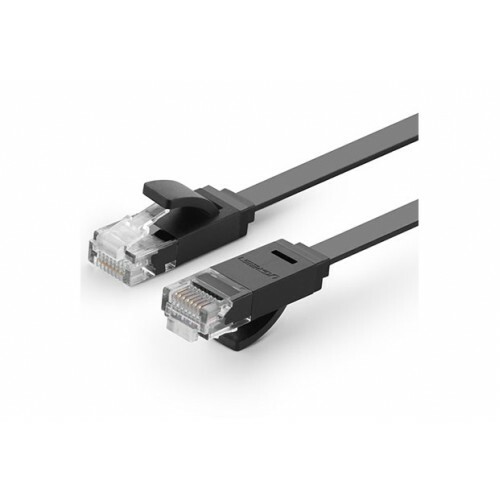 And it’s designed for use on Ethernet / RJ45 networks. And Suitable for connecting your PC, Xbox, PS3, Laptop to your broadband router.